I've always wanted to fly in a seaplane. As an avgeek, I think the flying machines that can land on water are the epitome of cool. I got my wish when a new airline, Air Juan, opened a scheduled flight between Manila Bay and Subic. Subic is practically my playground, where I jetsurf and flyboard regularly, and the fare wasn't that expensive. I booked a flight as soon as I saw an opening in my calendar. Air Juan is a charter airline established in 2012. It started operations in 2014, flying from Puerto Princesa to Coron and Cuyo Island. 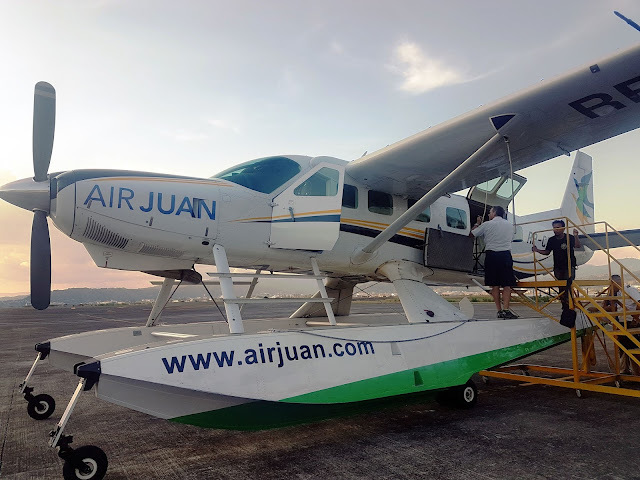 They started their seaplane service in 2015, between Coron and Boracay, then further expanded the list of destinations to include Baler, Puerto Galera, and Balesin Island.